Radio City | MERE PSEUD BLOG ED. 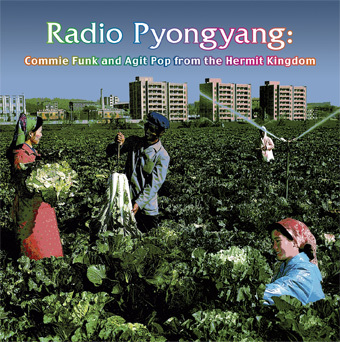 As a follow-up to my previous post, I thought I’d share this (out of print) record, called Radio Pyongyang: Commie Funk and Agit Pop from the Hermit Kingdom, put out by Sublime Frequencies in 2005. Anyone familiar with that label knows that their releases tend to mystify rather than demystify – perhaps appropriately, for our purposes. This isn’t an ethnomusicological document, but a cabinet of curiosities. And how curious! 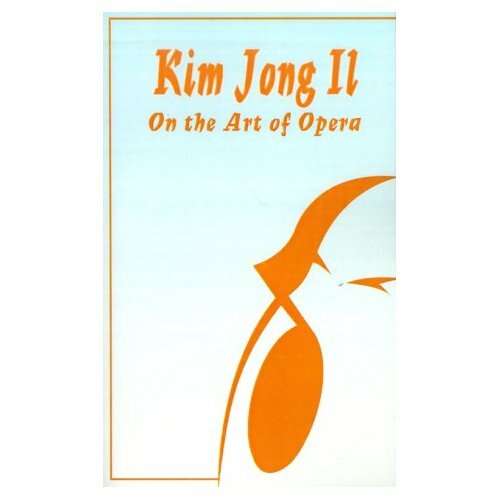 “Schmaltzy synthpop, Revolutionary rock, Cheeky child rap, and a healthy dose of hagiography for Dear Leader Kim Jong-il, this is the now NOW sound of North Korea! A hermit kingdom with a rich folk history and an even richer tradition in over-the-top praise for the ruling House of Kim, the Democratic People’s Republic of Korea remains a diplomatic thorn and a culture never Neverland. Boasting a heady mix of Stalin opera, Tokyo karaoke and brooding impressionism, the sound of present-day Pyongyang distills into warped agit-pop and lost-in-time commie funk. If you’ve ever wondered what goes on in North Korean music, this is your vehicle for exploration. Christiaan Virant has visited this mysterious land and has assembled this amazing audio collage. Captured within are rare live recordings from various performances and mass games demonstrations, sounds lifted from People’s Army television dramas, samples from hard-to-find CD releases obtained in the capital, and of course, news reports from the “real” Radio Pyongyang, which continues to broadcast to this day, albeit under the new, strikingly anodyne moniker “Voice of Korea”.